"No Turn On Red" is the second single of our upcoming EP, "This Is Why We Can't Have Nice Things". The video for the song was filmed & edited by the band in true DIY fashion… but really, we think Nicolai just wanted an excuse to throw on a wig. The video is 3 minutes of channel surfing; making pit stops on some of the most ridiculous commercials, t.v. shows, and movies from the 50's, 60's and 70's (Including our twist on Happy Days, Monty Python, and A Hard Days Night). The EP was produced by Michael Keire (The Dirty Nil, Wildlife), and mastered by Brian Lucey (The Black Keys, Arctic Monkeys). Hamilton, ON-based indie rock brigade the Bandicoots pay homage to the rules of the road on their track "No Turn on Red," and now the band have green-lighted some accompanying visuals for the tune. You can get the first look at the new video right here on Exclaim.ca. The Arctic Monkeys-esque number gets paired with shots that show the band goofing off and spoofing cheesy commercials, movies and old TV favourites from the '50s, '60s and '70s. Watch for references to Happy Days, Monty Python and A Hard Day's Night. The clip was filmed and edited by the guys in the band, and as for the inspiration? "Really, we think Nicolai just wanted an excuse to throw on a wig," reads the press release. 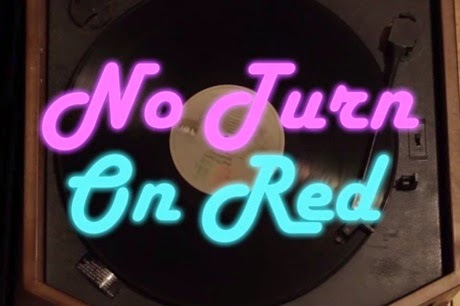 "No Turn on Red" is slated to appear on the group's upcoming EP, which was produced by Michael Keire (the Dirty Nil, Wildlife) and mastered by Brian Lucey (the Black Keys, Arctic Monkeys). Until more details of the EP's release emerge, kick back and enjoy the channel surfing vibe of the new video. Exclaim!